1. God Himself is authority, His authority symbolizes the supremacy and substance of God, and the authority of God Himself represents the status and identity of God. 2. To put it plainly, “the authority of God” means that it is up to God. God has the right to decide how to do something, and it is done in whatever way He wishes. The law of all things is up to God, and not up to man; neither can it be altered by man. It cannot be moved by the will of man, but is instead changed by the thoughts of God, and the wisdom of God, and the orders of God, and this is a fact that is undeniable to any man. 3. The authority itself can be explained as the power of God. Firstly, it can be said with certainty that both authority and power are positive. They have no connection to anything negative, and are unrelated to any created or non-created beings. The power of God is able to create things of any form that have life and vitality, and this is determined by the life of God. God is life, so He is the source of all living beings. 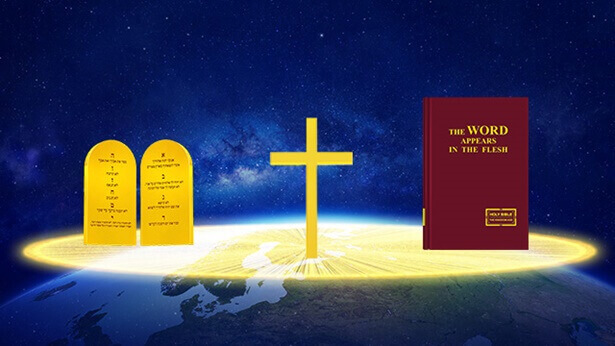 Furthermore, the authority of God can make all living beings obey every word of God, that is, come into being according to the words from God’s mouth, and live and reproduce by God’s command, after which God rules and commands all living beings, and there shall never be a deviation, forever and ever. No person or object has these things; only the Creator possesses and bears such power, and so it is called authority. This is the uniqueness of the Creator. As such, regardless of whether it is the word “authority” itself or the substance of this authority, each can only be associated with the Creator, because it is a symbol of the unique identity and substance of the Creator, and it represents the identity and status of the Creator; apart from the Creator, no person or object can be associated with the word “authority.” This is an interpretation of the unique authority of the Creator. 4. The words of God are authority, the words of God are fact, and before the words are uttered from His mouth, which is to say, when He makes the decision to do something, then that thing has already been accomplished. 5. The authority and power of the Creator were expressed in each new thing that He created, and His words and accomplishments occurred simultaneously, without the slightest discrepancy, and without the slightest interval. The appearance and birth of all these new things were proof of the authority and power of the Creator: He is as good as His word, and His word shall be accomplished, and that which is accomplished lasts forever. This fact has never changed: so it was in the past, so it is today, and so it will be for all eternity. 6. There is power, majesty, and authority in the words of God. Such might and authority, and the inevitability of the accomplishment of fact, are unattainable by any created or non-created being, and unsurpassable by any created or non-created being. 7. From when He commenced the creation of all things, the power of God began to be expressed, and began to be revealed, for God used words to create all things. Regardless of in what manner He created them, regardless of why He created them, all things came into being and stood fast and existed because of the words of God, and this is the unique authority of the Creator. 8. Through His words, the Creator was not only able to gain all that He set out to gain, and achieve all that He set out to achieve, but could also control in His hands all that He had created, and rule all things that He had made under His authority, and, furthermore, all was systematic and regular. All things also lived and died by His word and, moreover, by His authority they existed amidst the law that He had set forth, and none was exempt! 9. The unique authority of the Creator was manifested not only in His ability to create all things and command all things to come into being, but also in His ability to govern and hold sovereignty over all things, and bestow the life and vitality upon all things, and, moreover, in His ability to cause, once and for all eternity, all things that He would create in His plan to appear and exist in the world made by Him in a perfect shape, and a perfect life structure, and a perfect role. So too was it manifested in the way that the thoughts of the Creator were not subject to any constraints, were not limited by time, space, or geography. Like His authority, the unique identity of the Creator shall remain unchanged from everlasting to everlasting. His authority shall always be a representation and symbol of His unique identity, and His authority shall forever exist side-by-side with His identity! 10. God created everything, and having created it, He has dominion over all things. In addition to having dominion over all things, He is in control of everything. What does this mean, the idea that “God is in control of everything”? How can it be explained? How does it apply to real life? How can you come to know God’s authority by understanding the fact that “God is in control of everything”? From the very phrase “God is in control of everything” we should see that what God controls is not a portion of planets, a portion of creation, much less a portion of mankind, but everything: from the massive to the microscopic, from the visible to the invisible, from the stars in the universe to the living things on earth, as well as microorganisms that cannot be seen with the naked eye or beings that exist in other forms. This is the precise definition of the “everything” that God is “in control of,” and is the scope over which God wields His authority, the extent of His sovereignty and rule. 11. The manner in which the Creator exerts His authority does not rigidly adhere to a macro or micro viewpoint, and is not limited to any form; He is able to command the operations of the universe, and hold sovereignty over the life and death of all things, and, moreover, is able to maneuver all things so that they serve Him; He can manage all the workings of the mountains, rivers, and lakes, and rule all things within them, and, what’s more, is able to provide that which is needed by all things. This is the manifestation of the unique authority of the Creator amongst all things besides mankind. Such a manifestation is not just for a lifetime, and shall never cease, or rest, and cannot be altered or damaged by any person or thing, nor can it be added to or reduced by any person or thing—for none can replace the identity of the Creator, and, therefore, the authority of the Creator cannot be replaced by any created being, and is unattainable by any non-created being. 12. God has an ethnicity live on a certain land and settles them there, and if God doesn’t allow them to move they will never be able to move. If God defines a scope for them, they will live within that scope. Mankind cannot break free or break out of these scopes. This is certain. No matter how great the forces of the encroachers are or how weak those who are being encroached upon are, their success in the end is up to God. He has already predestined this and no one can change it. 13. “I do set my bow in the cloud, and it shall be for a token of a covenant between me and the earth.” These are the original words spoken by the Creator to mankind. As He said these words, a rainbow appeared before the eyes of man, where it has remained until today. … The Creator used His own particular method to abide by His covenant with man and His promise, and so His use of the rainbow as a sign of the covenant that He had established is a heavenly edict and law that shall remain forever unchanged, whether in regard to the Creator or the created mankind. Yet this immutable law is, it must be said, another true manifestation of the Creator’s authority following His creation of all things, and it must be said that the authority and power of the Creator are limitless; His use of the rainbow as a sign is a continuation and extension of the Creator’s authority. This was another act performed by God using His words, and was a sign of the covenant that God had established with man using words. He told man of that which He resolved to bring about, and with what manner it would be fulfilled and achieved, and in this way the matter was fulfilled according to the words from God’s mouth. Only God is possessed of such power, and today, several thousand years after He spoke these words, man can still look upon the rainbow spoken from the mouth of God. Because of those words uttered by God, this thing has remained unaltered and unchanged right up until today. None can remove this rainbow, none can change its laws, and it exists solely for the words of God. This is precisely the authority of God. “God is as good as His word, and His word shall be accomplished, and that which is accomplished lasts forever.” Such words are clearly manifested here, and it is a clear sign and characteristic of the authority and power of God. 14. The authority and identity of God are clearly revealed in the wording of God’s utterances. For example, when God says “My covenant is with you, and you shall … have I made you … I will make you…,” phrases such as “you shall” and “I will,” whose wording bears the affirmation of God’s identity and authority, are, in one respect, an indication of the Creator’s faithfulness; in another respect, they are special words used by God, who possesses the identity of the Creator—as well as being part of conventional vocabulary. If someone says they hope another person will be exceeding fruitful, that nations will be made from them, and that kings shall come from them, then that is undoubtedly a kind of wish, and is not a promise or a blessing. And so, people dare not say “I will make you such and such, you shall such and such,” for they know that they do not possess such power; it is not up to them, and even if they say such things, their words would be empty, and nonsense, driven by their desire and ambition. … In their hearts, everyone clearly knows that they do not possess the power to achieve such things, for their everything is beyond their control, and so how could they command the fate of others? 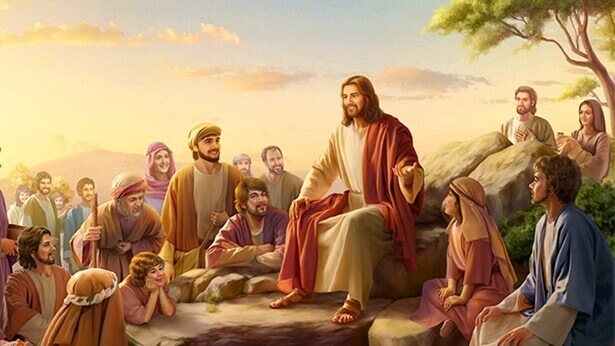 Whereas the reason why God can say words like these is because God possesses such authority, and is capable of accomplishing and realizing all the promises that He makes to man, and of making all the blessings that He bestows upon man come true. Man was created by God, and for God to make someone exceedingly fruitful would be child’s play; to make someone’s descendants prosperous would require but a word from Him. He would never have to work Himself into a sweat for such a thing, or task His mind, or tie Himself in knots over it; this is the very power of God, the very authority of God. 15. The authority of God does not flicker on and off, does not come and go, and there is no one who can measure just how great His authority is. Regardless of how much time passes, when God blesses a person, this blessing will continue forth, and its continuation will bear testament to the inestimable authority of God, and will allow mankind to behold the reappearance of the inextinguishable life force of the Creator, time and time again. Each display of His authority is the perfect demonstration of the words from His mouth, and it is demonstrated to all things, and to mankind. What’s more, everything accomplished by His authority is exquisite beyond compare, and utterly flawless. It can be said that His thoughts, His words, His authority, and all the work that He accomplishes are all an incomparably beautiful picture, and for the creatures, the language of mankind is incapable of articulating its significance and value. When God makes a promise to a person, whether it be where they live, or what they do, their background before or after they receive the promise, or how great have been the upheavals in their living environment—all this is as familiar to God as the back of His hand. No matter how much time elapses after God’s words have been spoken, for Him, it is as if they have just been uttered. Which is to say that God has the power, and has such authority, that He can keep track of, control, and realize every promise He makes to mankind, and regardless of what the promise is, regardless of how long it takes to be completely fulfilled, and, moreover, regardless of how broad the scope that its accomplishment touches upon—for example, time, geography, race, and so on—this promise will be accomplished, and realized, and, furthermore, its accomplishment and realization will not require Him the slightest effort. And what does this prove? That the breadth of God’s authority and power is enough to control the whole of the universe, and the whole of mankind. God made light, but that does not mean God only manages light, or that He only manages water because He created water, and that everything else is unrelated to God. Is this not a misunderstanding? Although God’s blessing of Abraham had gradually faded from the memory of man after several hundred years, for God, this promise still remained the same. It was still in the process of accomplishment, and had never stopped. Man never knew or heard how God exerted His authority, how all things were orchestrated and arranged, and how many wonderful stories occurred among all things of God’s creation during this time, but every wonderful piece of the display of God’s authority and the revelation of His deeds were passed on and exalted among all things, all things showed forth and spoke of the miraculous deeds of the Creator, and each much-told story of the Creator’s sovereignty over all things shall be proclaimed by all things forever more. The authority by which God rules all things, and the power of God, show all things that God is present everywhere and at all times. When you have witnessed the ubiquity of the authority and power of God, you will see that God is present everywhere and at all times. The authority and power of God are unconstrained by time, geography, space, or any person, matter or thing. The breadth of God’s authority and power surpasses the imagination of man; it is unfathomable to man, unimaginable to man, and shall never be completely known by man. 16. When the Lord Jesus brought Lazarus back from the dead, He used one line: “Lazarus, come forth.” He said nothing aside from this—what do these words represent? They represent that God can accomplish anything through speaking, including resurrecting a dead man. When God created all things, when He created the world, He did so with words. He used spoken commands, words with authority, and just like that all things were created. It was accomplished like that. This single line spoken by the Lord Jesus was just like the words spoken by God when He created the heavens and earth and all things; it equally held the authority of God, the ability of the Creator. All things were formed and stood fast because of words from God’s mouth, and just the same, Lazarus walked out from his tomb because of the words from the Lord Jesus’ mouth. This was the authority of God, demonstrated and realized in His incarnate flesh. This type of authority and ability belonged to the Creator, and to the Son of man in whom the Creator was realized. This is the understanding taught to mankind by God bringing Lazarus back from the dead. 17. God has the authority to have a person die, to have his soul leave his body and return to Hades, or wherever it should go. When someone dies, and where they go after death—these are determined by God. He can do this anytime and anywhere. He is not constrained by humans, events, objects, space, or place. If He wants to do it He can do it, because all things and living beings are under His rule, and all things live and die by His word, His authority. He can resurrect a dead man—this is also something He can do anytime, anywhere. This is the authority that only the Creator possesses. 18. Every word from the mouth of God is an order, and a heavenly law, and an expression of God’s authority—for behind every word of God is implied God’s punishment of those who violate the orders of God, and those who disobey and oppose the heavenly laws. … Among all things, including Satan, there is no person or thing that can transgress the heavenly laws and edicts set out by the Creator, and no person or thing that dares to violate these heavenly laws and edicts, for no person or object can alter or escape from the punishment that the Creator inflicts upon those who disobey them. Only the Creator can establish heavenly laws and edicts, only the Creator has the power to put them into effect, and only the power of the Creator cannot be transgressed by any person or thing. This is the unique authority of the Creator, this authority is supreme among all things, and so, it is impossible to say that “God is the greatest and Satan is number two.” Except for the Creator who is possessed of the unique authority, there is no other God! 19. Satan has been corrupting mankind for thousands of years. It has wrought untold amounts of evil, has deceived generation after generation, and has committed heinous crimes in the world. It has abused man, deceived man, seduced man to oppose God, and has committed evil acts that have confounded and impaired God’s plan of management time and time again. Yet, under the authority of God, all things and living creatures continue to abide by the rules and laws set down by God. Compared to the authority of God, Satan’s evil nature and rampancy are so ugly, so disgusting and despicable, and so small and vulnerable. Even though Satan walks among all things created by God, it is not able to enact the slightest change in the people, things, and objects commanded by God. Several thousand years have passed, and mankind still enjoys the light and air bestowed by God, still breathes the breath exhaled by God Himself, still enjoys the flowers, birds, fish and insects created by God, and enjoys all the things provided by God; day and night still continually replace each other; the four seasons alternate as usual; the geese flying in the sky depart in this winter, and still return in the next spring; the fish in the water never leave the rivers and lakes—their home; the cicadas on the ground sing their hearts out during the summer days; the crickets in the grass gently hum in time to the wind during autumn; the geese gather into flocks, while the eagles remain solitary; the prides of lions sustain themselves by hunting; the elk don’t stray from the grass and flowers…. Every kind of living creature amongst all things departs and returns, and then departs again, a million changes occurring in the twinkling of an eye—but what doesn’t change are their instincts and the laws of survival. They live under the provision and nourishment of God, and no one can change their instincts, and neither can anyone impair their rules of survival. 20. Although God is possessed of authority and power, His authority is true and real, not empty. The authenticity and reality of God’s authority and power are gradually revealed and embodied in His creation of all things, and control over all things, and in the process by which He leads and manages mankind. Every method, every perspective, and every detail of God’s sovereignty over mankind and all things, and all the work that He has accomplished, as well as His understanding of all things—they all literally prove that the authority and power of God are not empty words. His authority and power are shown forth and revealed constantly, and in all things. These manifestations and revelations speak of the real existence of God’s authority, for He is using His authority and power to continue His work, and to command all things, and to rule all things at every moment, and His power and authority cannot be replaced by the angels, or the messengers of God. God decided what blessings He would bestow upon Abraham and Job—it was up to God. Even though the messengers of God personally visited Abraham and Job, their actions were according to the commandments of God, and under the authority of God, and they were also under the sovereignty of God. Although man sees the messengers of God visit Abraham, and does not witness Jehovah God personally do anything in the records of the Bible, in fact, the only One who truly exerts power and authority is God Himself, and this brooks no doubt from any man! Although you have seen that the angels and the messengers possess great power, and have performed miracles, or they have done some things commissioned by God, their actions are merely for the sake of completing God’s commission, and are by no means a display of the authority of God—for no man or object has, or possesses, the authority of the Creator to create all things and rule all things. And so no man or object can exert or show forth the authority of the Creator. 21. Satan has never dared to transgress the authority of God, and, moreover, has always carefully listened to and obeyed the orders and specific commands of God, never daring to defy them, and, of course, not daring to freely alter any of God’s orders. Such are the limits that God has set out for Satan, and so Satan has never dared to cross these limits. Is this not the might of God’s authority? Is this not a testimony to God’s authority? Of how to behave toward God, and how to view God, Satan has a much clearer grasp than mankind, and so, in the spiritual world, Satan sees the status and authority of God very clearly, and has a deep appreciation of the might of God’s authority and the principles behind the exertion of His authority. It does not dare, at all, to overlook them, nor does it dare to violate them in any way, or do anything that transgresses the authority of God, and it does not dare to challenge God’s wrath in any way. Though it is evil and arrogant in nature, Satan has never dared to cross the boundaries and limits set out for it by God. For millions of years, it has strictly abided by these boundaries, has abided by every command and order given to it by God, and has never dared to overstep the mark. Though it is malicious, Satan is much wiser than corrupt mankind; it knows the identity of the Creator, and knows its own boundaries. From Satan’s “submissive” actions it can be seen that the authority and power of God are heavenly edicts which cannot be transgressed by Satan, and that it is precisely because of the uniqueness and authority of God that all things change and propagate in an orderly way, that mankind can live and multiply within the course established by God, with no person or object capable of upsetting this order, and no person or object capable of changing this law—for they all come from the hands of the Creator, and from the order and authority of the Creator. 22. Although living among all things, people derive enjoyment from the many ways in which the world satisfies their material needs, though they see this material world constantly advancing, their own experience—what their hearts and their spirits feel and experience—has nothing to do with material things, and nothing material is a substitute for it. It is a recognition deep in one’s heart, something that cannot be seen with the naked eye. This recognition lies in one’s understanding of, and one’s feeling of, human life and human fate. And it often leads one to the apprehension that an unseen Master is arranging all things, orchestrating everything for man. In the midst of all this, one cannot but accept fate’s arrangements and orchestrations; at the same time, one cannot but accept the path ahead that the Creator has laid out, the Creator’s sovereignty over one’s fate. This is an undisputed fact. No matter what insight and attitude one holds about fate, no one can change this fact. 24. The predetermination of a person’s birth by the Creator means that He will bestow upon that person all things necessary for survival; and that a person is born likewise means that he or she will receive all things necessary for survival from the Creator, that from that point on he or she will live in another form, provided for by the Creator and subject to the Creator’s sovereignty. 25. The births of people of all stripes are determined by the fates the Creator has in store for them; their births determine their fates in the present life as well as the roles they will play and the missions they will fulfill. All this is subject to the Creator’s sovereignty, predestined by Him; no one can escape their predestined lot, no one can change the circumstances of[a] their birth, and no one can choose their own fate. 26. The circumstances of one’s birth and death are both predetermined by the Creator; this is a person’s destiny, a person’s fate. … Man can make all kinds of plans for his future, but no one can plan the manner and time of their birth and of their departure from the world. Though people do their best to avoid and resist the coming of death, yet still, unbeknownst to them, death silently draws near. No one knows when they will perish or how they will do so, much less where it will happen. Obviously, it is not humanity that holds the power of life and death, not some being in the natural world, but the Creator, whose authority is unique. Mankind’s life and death are not the product of some law of the natural world, but a consequence of the sovereignty of the Creator’s authority. 27. Regardless of differences in ability, IQ, and willpower, people are all equal before fate, which makes no distinction between the great and the small, the high and the low, the exalted and the mean. What occupation one pursues, what one does for a living, and how much wealth one amasses in life are not decided by one’s parents, one’s talents, one’s efforts or one’s ambitions, but are predetermined by the Creator. 28. As far as fate is concerned, everyone is independent, and everyone has his or her own fate. So no one’s parents can stave off one’s fate in life or exert the slightest influence on the role one plays in life. It could be said that the family into which one is destined to be born, and the environment in which one grows up, are nothing more than the preconditions for fulfilling one’s mission in life. They do not in any way determine a person’s fate in life or the kind of destiny amidst which a person fulfills his or her mission. … no other objective conditions can influence the mission of a person, which is predestined by the Creator. All people become mature in their own particular growing-up environments, then gradually, step by step, set off down their own roads in life, fulfill the destinies planned for them by the Creator, naturally, involuntarily entering the vast sea of humanity and assuming their own posts in life, where they begin to fulfill their responsibilities as created beings for the sake of the Creator’s predestination, for the sake of His sovereignty. 29. Marriage is an important juncture in a person’s life. It is the product of a person’s fate, a crucial link in one’s fate; it is not founded on any person’s individual volition or preferences, and is not influenced by any external factors, but is completely determined by the fates of the two parties, by the Creator’s arrangements and predeterminations regarding the fates of the couple. 30. Throughout your long lives, basically every individual has encountered many dangerous situations and undergone many temptations. This is because Satan is right there beside you, its eyes fixed on you constantly. It likes it when disaster strikes you, when calamities befall you, when nothing goes right for you, and likes it when you are caught in Satan’s net. As for God, He is protecting you constantly, keeping you from one misfortune after another and from one disaster after another. This is why I say that everything man has—peace and joy, blessings and personal safety—is in fact all under God’s control, and He guides and decides the life and fate of every individual. 31. Under God’s authority every person actively or passively accepts His sovereignty and His arrangements, and no matter how one struggles in the course of one’s life, no matter how many crooked paths one walks, in the end one will return to the orbit of fate that the Creator has traced out for him or her. This is the insuperability of the Creator’s authority, the manner in which His authority controls and governs the universe. 32. God is man’s only Lord, God is the only Master of human fate, and so it is impossible for man to dictate his own fate, impossible for him to surpass it. No matter how great one’s abilities, one cannot influence, much less orchestrate, arrange, control, or change the fates of others. Only the unique God Himself dictates all things for man, for only He possesses the unique authority that holds sovereignty over human fate; and so only the Creator is man’s unique Master. 33. God’s authority exists regardless of the circumstances; in all situations, God dictates and arranges every human fate and all things in accordance with His thoughts, His wishes. This will not change because humans change, and it is independent of man’s will, cannot be altered by any changes in time, space, and geography, for God’s authority is His very substance. Whether man is able to know and accept God’s sovereignty, and whether man is able to submit to it, does not in the slightest way change the fact of God’s sovereignty over human fate. That is to say, no matter what attitude man takes toward God’s sovereignty, it simply cannot change the fact that God holds sovereignty over human fate and over all things. Even if you do not submit to God’s sovereignty, He still commands your fate; even if you cannot know His sovereignty, His authority still exists. God’s authority and the fact of God’s sovereignty over human fate are independent of human will, do not change in accordance with man’s preferences and choices. God’s authority is everywhere, at every hour, at every instant. If heaven and earth were to pass away, His authority would never pass away, for He is God Himself, He possesses the unique authority, and His authority is not restricted or limited by people, events, or things, by space or by geography. At all times God wields His authority, shows His might, continues His management work as always; at all times He rules all things, provides for all things, orchestrates all things, just as He always did. No one can change this. It is fact; it has been the unchanging truth since time immemorial! 34. Although God is possessed of authority and power, He is very rigorous and principled in His actions, and stays true to His word. His rigorousness, and the principles of His actions, show the unoffendableness of the Creator and the insuperability of the Creator’s authority. Though He is possessed of supreme authority, and all things are under His dominion, and although He has the power to rule all things, God has never damaged or disrupted His own plan, and each time He exerts His authority, it is in strict accordance with His own principles, and precisely follows that which was spoken from His mouth, and follows the steps and objectives of His plan. Needless to say, all things ruled by God also obey the principles by which God’s authority is exerted, and no man or thing is exempt from the arrangements of His authority, nor can they alter the principles by which His authority is exerted. In God’s eyes, those who are blessed receive the good fortune brought about by His authority, and those who are cursed receive their punishment because of God’s authority. Under the sovereignty of God’s authority, no man or thing is exempt from the exertion of His authority, nor can they alter the principles by which His authority is exerted. The authority of the Creator is not altered by changes in any factor, and, similarly, the principles by which His authority is exerted do not alter for any reason. Heaven and earth may undergo great upheavals, but the authority of the Creator will not change; all things may vanish, but the authority of the Creator will never disappear. This is the substance of the Creator’s immutable and unoffendable authority, and this is the very uniqueness of the Creator! 35. The fates of humanity and of the universe are intimately entwined with the Creator’s sovereignty, inseparably tied to the Creator’s orchestrations; in the end, they cannot be teased apart from the Creator’s authority. Through the laws of all things man comes to understand the Creator’s orchestration and His sovereignty; through the rules of survival he perceives the Creator’s governance; from the fates of all things he draws conclusions about the ways the Creator exercises His sovereignty and control over them; and in the life cycles of human beings and all things man truly experiences the Creator’s orchestrations and arrangements for all things and living beings and truly witnesses how those orchestrations and arrangements supersede all earthly laws, rules, and institutions, all other powers and forces. In light of this, humanity is compelled to recognize that the Creator’s sovereignty cannot be violated by any created being, that no force can meddle with or alter the events and things predestined by the Creator. It is under these divine laws and rules that humans and all things live and propagate, generation after generation. Is this not the true embodiment of the Creator’s authority?